Julie Smith (Softball) -- The Glendora native and Fresno State standout made her mark as one of the best second basemen ever at the collegiate and international levels - highlighted by an Olympic gold medal as a member of the U.S. team in Atlanta. She was a three-time first-team All-America, first as a freshman leading Texas A&M to the NCAA College Women's Softball Championship over UCLA in 1987. After breaking her leg five games into her sophomore season, Smith decided to return home to California and play for Fresno State. She sat out one season because of the transfer rule and then helped the Bulldogs to a runner-up NCAA finish in 1990 and third place in '91 while earning All-America honors each year. After a '91 campaign in which she hit .362 to lead the Bulldogs, she was named Fresno State's Female Athlete of the Year and selected to the NCAA's College Softball World Series All-Decade Team. In addition to starting at second base for the United States during its gold medal Olympic run in '96, Smith also was a member of two World Championship teams and three Pan American squads that earned gold medals. 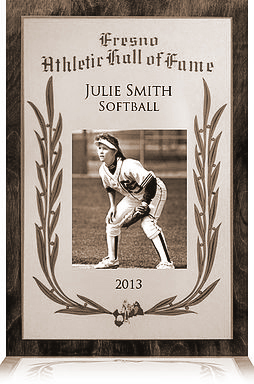 Smith also was a six-time Amateur Softball Association All-American, winner of the ASA's Erv Lind Defense Award and a member of the 1987 Junior Women's World Championship team. In 1997, Smith founded a non-profit company called TeamSmith, Inc. It started out as a nationwide philanthropic effort to focus on the underserved young girls and provide life skills clinics. Smith was afforded the opportunity to conduct 2 clinics on Yankee stadium and multiple clinics at RBI in Harlem. Her efforts switched to more local efforts in California. Currently, Teamsmith has 6 ASA Travelsoftball Teams. Teamsmith has helped placed over 100 student-athletes in college all the while promoting respect and giving back within the philosophy. In 2000, feeling that she (earned her right) to return to the U.S. Olympic team, she challenged the ASA selection process. The focus of the claim was to change the Selection Process, not to return to the team. Though she didn't land a spot with her appeal, a federal arbiter ordered ASA to publically admit the process was flawed, change the process for future selections. At the time of her induction, Smith was beginning her sixth season as head coach of the University of La Verne softball team and had led the Leopards to three NCAA Division III tournament appearances. Smith has also been serving the role as Senior Women's Administrator role and Assistant Athletics Director for the past five years.